Fun with the sheen of style in the Stride Rite Adaliah sandal! ; Open toe multi-tone strappy sandal in a manmade upper. ; Hook-and-loop closure. 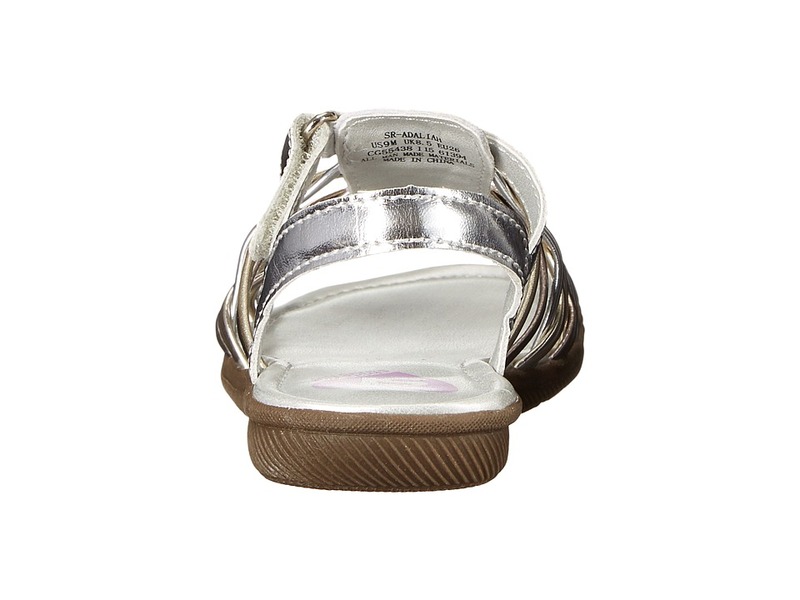 ; Padded back heel strap prevents irritated heels. ; Lightly cushioned synthetic footbed. 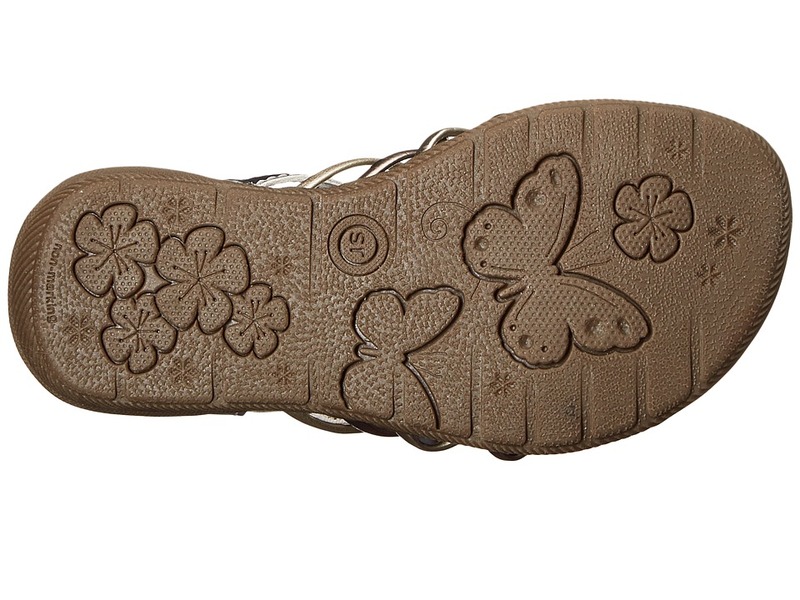 ; Lightweight, flexible rubber outsole. ; Imported. Measurements: ; Weight: 2 oz ; Product measurements were taken using size 9 Toddler, width M. Please note that measurements may vary by size. Be the first to review “Stride Rite Adaliah Toddler Little Kid Girls Shoes” Click here to cancel reply.